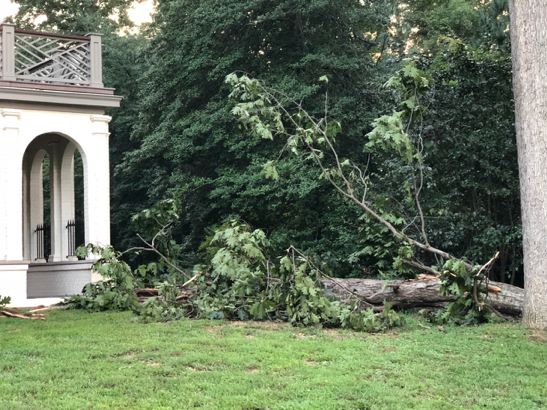 After our recent trip to Scotland we came home to Richmond to find this lovely, enormous oak tree that literally (and I mean literally) dropped inches from our house. It seemed like the hand of God nudged it over so it did no damage. View looking down from the balcony—you can see how close it came! We are so grateful that no damage was done! 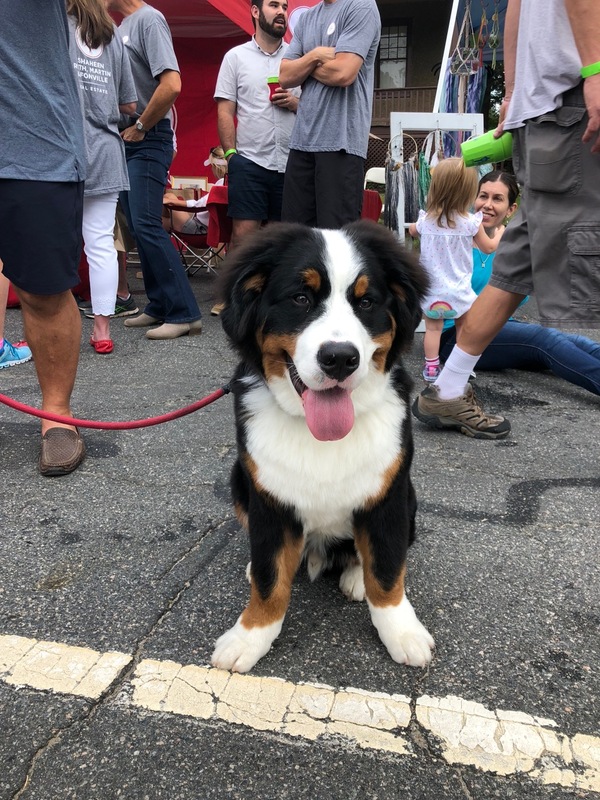 I love living in Richmond, there’s always something going on that’s dog friendly with lots of great food, and this past September and October have been no exception. 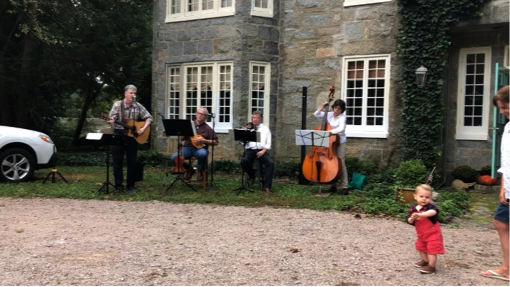 It doesn’t get more Virginian than an oyster shucking on the lawn with a string quartet! 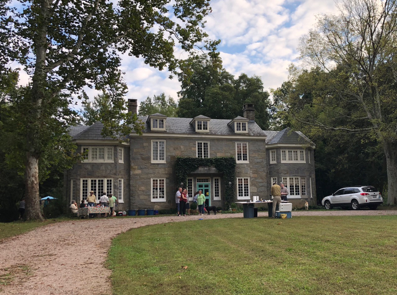 Thank you to Jeff and Marianne Donahue of Long & Foster for hosting this great party (they are the realtors who got us into RVA, for which I will be forever grateful). 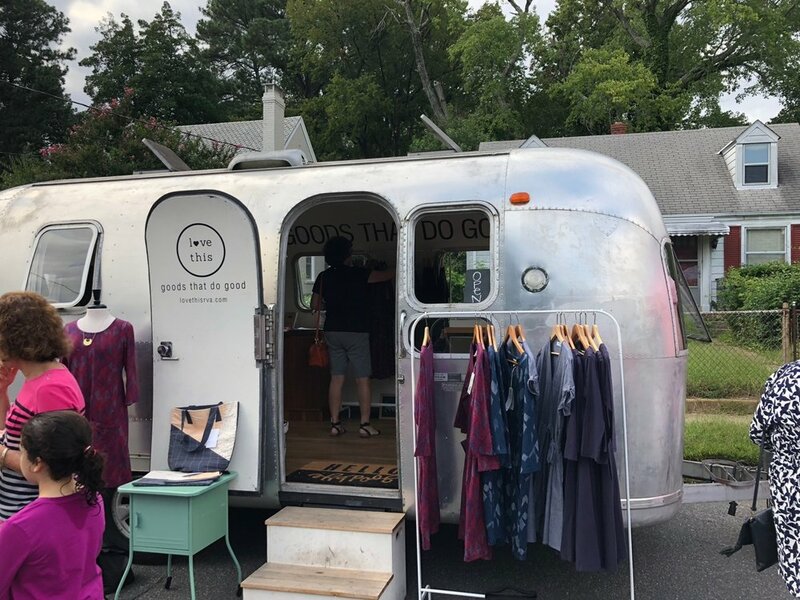 Party on the Avenues street party --- cute shops, cute dogs and a great big beer truck. What’s not to love? The Richmond Symphony Orchestra League Designer House also opened in September, and is full of great design ideas. I love how the designer mimicked the stair post finials in her window treatments. ﻿What an unexpected little girl’s room – no pink here! I loved reading that the inspiration was the designer’s daughter who is a Girl Scout. Girl Power! The unexpected asymmetrical window treatment in this water closet sold me. Such a long, thin window-- the way the designer positioned the treatment gave it punch. And how about that chandelier?! Plus, as my family knows all too well, I can’t resist a good toile design!!! This lady’s walk-in closet was one of my favorite spaces in the house. Awesome colors and that gorgeous painted alligator painted vanity countertop! What lady would not want this space? Also loved the details of gorgeous vanity hardware by Berenson. The other thing I love about Richmond are all the local food joints. Each has it’s own unique vibe. My friends and I finished our RSOL Design House tour with lunch and a glass of wine in Southside at Little Nickel. Of course, I loved the décor---the food was just as beautiful. What a great way to end the day!